Cancer is a sensitive, vulnerable person, subject to fears and doubts. Very attached to close people, needs their support. She loves her house, only here she can completely relax. But this does not mean that all Cancers are timid, shy people, there are very confident people among them. The fact is that in the eastern horoscope every year corresponds to a certain animal, it is his influence that explains the characteristics of a person’s character. The combination of the western and Chinese signs of the Zodiac forms a unique combination that allows a new-look at such a familiar, seemingly well-studied Cancer. A vulnerable Cancer prefers to hide true thoughts, tries to solve his problems on his own. At the same time, painfully suffers from inattention and misunderstanding of surrounding people. Too timid Cancer tries to protect itself from unnecessary emotions, hides from the brutal reality in the world of its own fantasies. He is able to sympathize and empathize, ready to rush to help, forgetting about his own interests, than often abused by unscrupulous people. A typical representative can be considered Cancer-Pig, whose softness and good-naturedness is enjoyed by absolutely everything, while they do not consider it necessary even to simply thank. People of this sign have a natural gift — strong intuition, from them a good psychologist or teacher can turn out. But because of their shyness and indecisiveness, they often miss favorable opportunities, agree to not the most prestigious positions. At work try to avoid conflict situations, with all colleagues maintain friendly relations. Although there are some exceptions, Cancer-Rooster has a quick-tempered, snooty character. Acts quickly and decisively, without fear enters into skirmishes, boldly says everything he thinks. Perhaps, with this representative of the sign Cancer is dangerous to communicate, he will definitely be able to defend his interests. In a loving relationship, Cancers exhibit their inherent shyness. They constantly doubt themselves, they are afraid to be rejected. At the same time, romantic nature, try to please a partner, carefully prepare for each meeting. They strive to create a strong family, do not seek adventures on the side. Thin feel the mood of a loved one, show tact and patience. A model of wisdom and tranquility is the Snake Cancer. In their actions guided by intuition, never rushing to conclusions, in all situations behaves deservingly. He treats his partner with respect, faithfully defends the interests of the family. 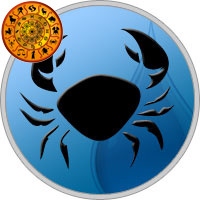 The combined horoscope contains 12 variants of different combinations for the Cancer sign, which allows you to more accurately know the nature and preferences of each of them.